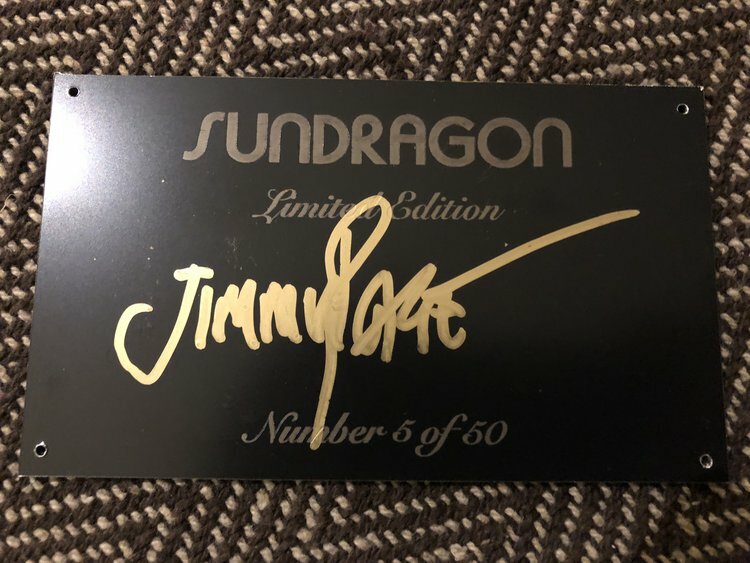 Jimmy Page announced on January 22 that he will release “Sundragon,” a limited edition amplifier which he said recreates the performance of his original Supro Coronado amp that he used during his time in Led Zeppelin. It appears that this project has been in the works for a while. Colby and Margouleff originally applied to patent the Sundragon brand for guitar amplifiers on August 25. The photographs of Page and the amp were taken by his daughter, Scarlet Page, at Abbey Road Studios in London. Page was photographed in the recording studio on November 18, although Margouleff later said that the two-day session was connected to the Metropolitan Museum of Art in New York’s “Play It Loud: Instruments Of Rock And Roll” exhibition, which is scheduled to open on April 8. 1 Comment on "Jimmy Page is releasing an amp which recreates the sound of Led Zeppelin"